Whether you aspire to be a pastry chef, lead baker, bakery manager, or open your own food-related small business, the Professional Baking and Pastry Arts program at the Tod and Maxine McClaskey Culinary Institute will prepare you for a range of career opportunities. Our new facility gives you hands-on experience in a production kitchen, retail bakery, food kiosks and a full-service dining room. 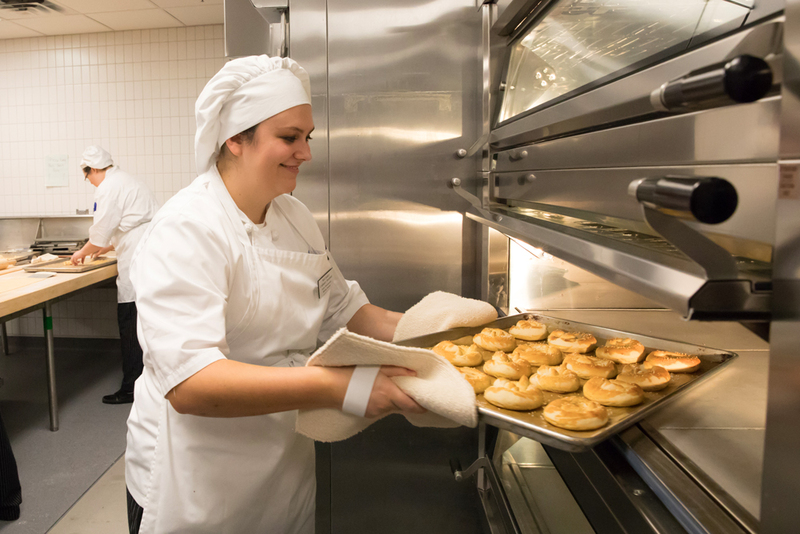 Students in the Professional Baking and Pastry Arts program will master the fundamentals of baking, and then combine that knowledge with practical experience working in Clark's production-focused baking lab. Your classes will focus on mastering techniques for making artisan breads, laminated doughs, cakes, tortes, French pastries, and more.